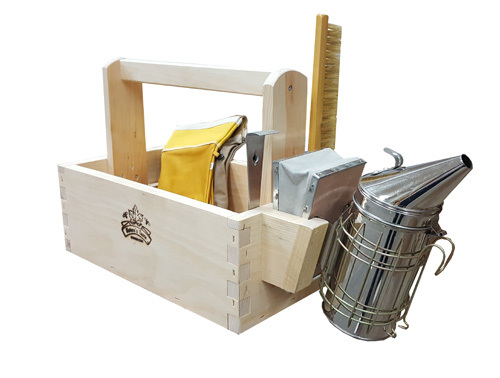 This Canadian made Bee Keepers Toolbox is a must have for every hobby bee keeper as well as in commercial bee yards. 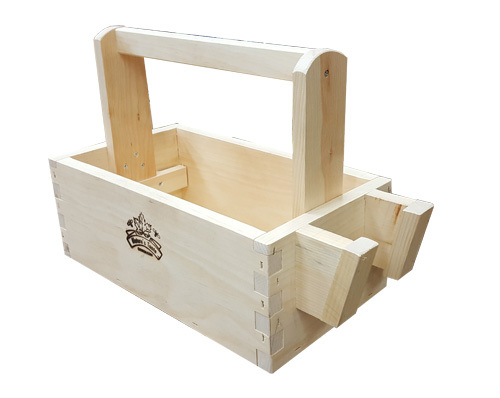 It features a great spot for the smoker with an open bottom to cool it off as well as hive tool and bee brush pockets as well. Stay organized and productive with this unique tool!